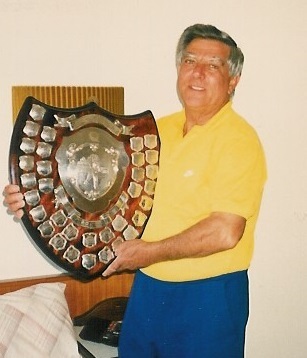 This award has been introduced to honour the memory of Les Semmens, who devoted much of his life in assisting junior tennis players in the Eastern Districts Tennis Association. Les may not have been known to all junior players, but those who have come through both the Boys and Girls Division One over the past 14 years would have known him as the friendly face and voice behind the canteen at Tranmere. Les's enormous and unwavering voluntary contribution to our Association juniors and their parents on a Friday night was unparalleled. Due to failing health Les sadly passed away in 2002. This award is in recognition of his service and the many things that Les stood for and recognised in many of our junior players. He also played the game with the qualities that this award will be based on. The award will be presented to one boy and one girl who attain the highest number of votes throughout the minor round matches. 1 vote will be awarded each week by team members to the opposition player who they believe best fits the selection criteria. Selection Criteria: Sportsmanship, court etiquette, co-operation and attitude toward court supervisors; being a true competitor whilst playing to the rules; being ready to play when called upon; supporting team members; recognising good play by opposition; personal presentation and dress. © Copyright 2011 Eastern Districts Tennis Association Inc. All Rights Reserved.